How will the Pixel and Pixel XL work with enterprise IT tools? What do Pixel phones mean for Google’s Android partners? 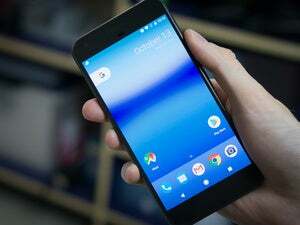 Google unveiled a massive strategic shift on Tuesday, announcing that it is officially getting into the business of designing and releasing its own smartphones. 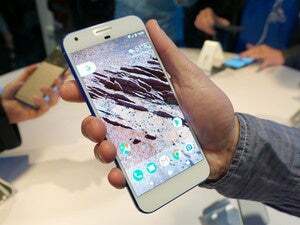 The Pixel and Pixel XL, announced at a special event in San Francisco, are the company's first forays into that market after working with outside manufacturers for several years to produce its Nexus line of devices. The phones are snazzy gizmos packed with some of the latest features that Google could come up with, like a new intelligent assistant and a high-quality camera. It feels like one of the best Android smartphones on the market and could be a serious contender to take on Apple's iPhone, especially for people looking to purchase a flagship smartphone. 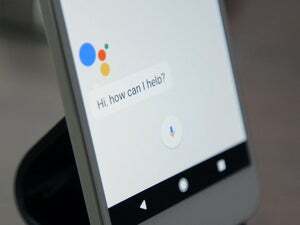 How does the Google Assistant interact with device management software? One of the biggest selling points of the Pixel is the new Google Assistant built into the device. It's designed to provide people with a personalized search experience, based on the power of Google's knowledge graph and integrations with partners. The assistant can help users do things like book dinner reservations, summon a car and, of course, search the web. Google has a deep bench of partner integrations designed to bring features and information from different services into the Google Assistant. In some cases they don't even require users to have the corresponding applications installed. But how does that work in an environment where IT has strong opinions about which services should be used for business purposes and data? Google isn't saying yet. A help page for Google Now, the precursor to the Assistant, says it is disabled by default when used with a paid Google Cloud account. IT administrators can reinstate access to Google Now, but it's not clear how much control they will have over what features and integrations users can access. Will enterprises be able to build private extensions for the Assistant? If enterprises can embrace the assistant, the next question is whether they'll be able to build private integrations that work only with phones inside their organization. Giving employees phones that can provide them with enterprise data along with consumer features could be very powerful. 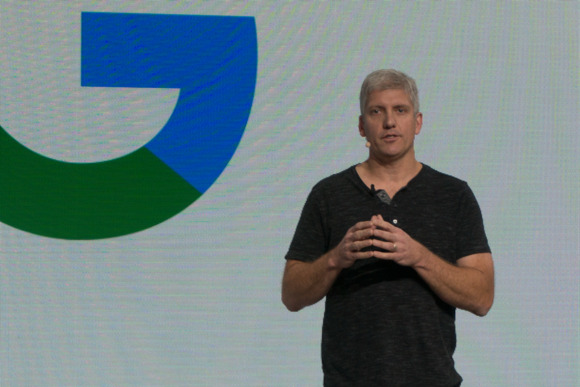 Google already does some of that with its Springboard app for paid users of G Suite, which is designed to help surface important files and facts from an organization's stored files. By integrating Springboard with the Assistant, Google could provide interesting business functionality. Does Google have any plans to sell Pixel phones to enterprises? While Microsoft's Surface Pro 3 was first pitched to consumers, the company quickly got into the business of working with partners to sell it as a business device. The Surface Enterprise Initiative has more than 10,000 partners selling Microsoft tablets to companies, and Microsoft continues to pour resources into it. The Pixel seems well-suited to receive similar treatment, especially as Google continues to build out its enterprise-focused business. The company is working to push its G Suite productivity tools for enterprises, and it would seem like selling Pixel phones alongside those would make a ton of sense. But Google hasn't said anything about its enterprise plans for the phone. How do the Pixel's new automatic updates work with managed phones? One of the key features of the Pixel for consumers is an enhancement to the phone's automatic update system. It downloads system updates in the background and then installs them the next time users restart their phones. It's designed as more seamless way of keeping the device up to date compared with other Android smartphones and should help with security. What's not yet clear is how much control IT managers will have over the automatic updates. Google already allows companies using mobile device management software to control when updates get installed and whether users are notified of updates when they're available. It seems likely Google would offer the same for the Pixel, but Google hasn't said how device management features would work with the new update functionality. Will 24/7 chat support for these devices increase or decrease enterprise appeal? The other marquee feature for consumers is 24/7 chat support, which gives them an easy path to help. This seems like it would come in handy for helping employees when the IT helpdesk isn't available, but it also presents a security problem. Google's support representatives can use screen-sharing built into the Pixel to see what's going on with users' devices. For those people who have sensitive company data on their Pixels, that could be an issue. Google hasn't said whether administrators will be able to disable live chat, turn off the screen-sharing feature, block screen sharing of enterprise apps, or some combination of management features. Still, the company has some time to answer all these questions. The phone was first made available for pre-order on Tuesday, but won't be available at retail until Oct. 20.